Work for Google Container Registry? It's a simple and effective Container Registry servise tool from trusted developer. Every step in usage is simple. Google as always gave good tutorials and support. Every one can use it, it's even not nessecary to be a technical expirianced user. I like everything, but user interface might be more up-to-date. The design are common for Google services and web oriented. Some may like this, but as for me it is a little bit outdated. One little problem, that the prices is not so easy to check. They give a trial for a yesr and 300$ credit. You can try everything without start payment. They promise no to charge your card untill you wish to switch to payed plan. We store and use some parts of code, that we use from time to time. Some scripts or additional code, that we use to fit products on different platforms or to solve untypical, but common problem. We also are learning the functional of the service, as it is quite wide. We want to see if we can use it in some other ways and to solve some other problems. If this tool will deal with it the best, we will use it more often and maybe will swith to one of a payed plans. The main benefit is that you can use it in the one year trial period and dicide if is it profitable for you or not. I like it because it works seamlessly with Google Container Engine and it keeps all the versions with allowing tagging labels to versions. All I need to do is to make sure I deploy the right containers to the server, and no need to worries about environment runtime setup. When it is time to roll back changes, I just need to make sure I roll back the right version. I couldn't find a way to store a machine learning generated models to a container. If you are using Google Container Engine, Google Container Registry is a must-have tool. I like the home platform is very user-friendly which allows someone like me who has never used it to manage and find my way pretty easily. Sometimes it does not show that images were fully loaded even though it has completed upload so it causes the user to think that he has reload it and end up with two copies. To keep using the interface and rely on the intro training! GCR has provided easy management of images along with other analysis tool storage that can be accessed by anyone in my team. "Great Platform but a little expensive"
The environment is very easy to work with to develop solutions and is very intuitive. It offers a good set of APIs. The platform makes it easy to scale projects to insure timely deployments. Management is a little better than AWS. The prices really creep up on you in Google Cloud Platform. It can be hard to understand how much things will cost in practice. It's also a little pricier than AWS ... GCP's documentation is also lacking and could be improved. The office tools are decent but still not close to Microsoft Office... luckily, we still have a MS Office subscription for all the office tools. The platform is definitely worth trying out, if the cost can fit within your budget. Google Cloud makes working with a team effortless. Everyone can sync, share, and see what's happening with just a few clicks. It's privacy and security features are great and not difficult to configure. Using this service gave me peace of mind knowing my data was secure. It provides privacy and security, while giving me a piece of mind. A HUGE benefit is everyone from my team being able to access the our information anytime and anywhere. Also, the platform has helped me a lot in creating great apps. Easy tool to pull from and store docker images! I love how user friendly it is! As of right now, I don't dislike anything about this product! Google Container Registry will make your job easier. Trust me, we all love it! The Google Container Registry is very secure. When using it, however, you will need to authenticate to the repo. GCR allows you to do the push/pull directly with no problem! "Google Cloud Container for expanding user base"
Google container has native docker support, which is the best thing. Automatic build and deployment of images, highly scalable. 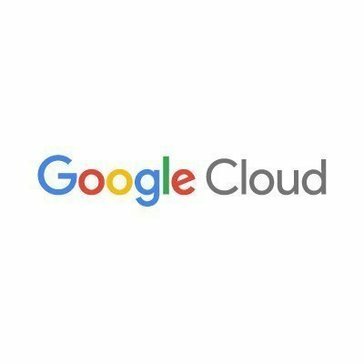 We evaluated other cloud platforms for out software, Google cloud is easy to use and secure but for out application speed was tad lower than other cloud platforms we tried. It is on par with other providers and speed can be little bit more. It all bogs down to support and price when it comes to choosing correct container registry. I would definitely take look at Google container . Allows end user to use our software directly from cloud rather than on-prem installations using disks. "Production Adtech company case study"
There isn't much to dislike, however sometimes the web UI can unclear for non-docker/container savvy people. Make sure to familiarize yourself with other container technology - and ensure you understand the Ecosystem. We use container registry to host incremental builds of features - ready to be deployed at any time, any where. "Great, Cheap alternative to Docker Hub"
well it is easier to used. it can save time and it can do or manage things that company always wants to solve. because of this platform is a way to better. well this could help a lot because take up less overhead than virtual machines on physical servers. Well of course the storage capacity and data back up, well when it comes of storage and data backup I intend to used this kind of platform so that it is easy to backup and don't have worries about it. "Google Container Registry at scale"
The easy with which I could deploy my container image in cloud. Cross-region deployment , with more regions presence. Abstracting the IaaS and concentrate on development. Learning about Google Container Registry? * We monitor all Google Container Registry reviews to prevent fraudulent reviews and keep review quality high. We do not post reviews by company employees or direct competitors. Validated reviews require the user to submit a screenshot of the product containing their user ID, in order to verify a user is an actual user of the product. Hi there! Are you looking to implement a solution like Container Registry?